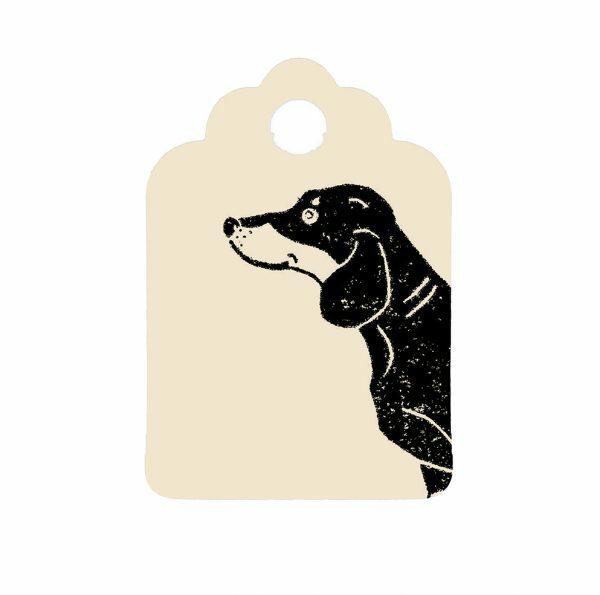 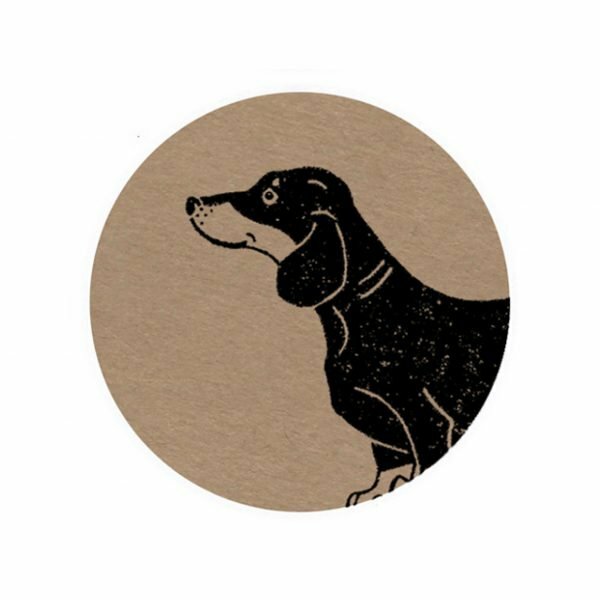 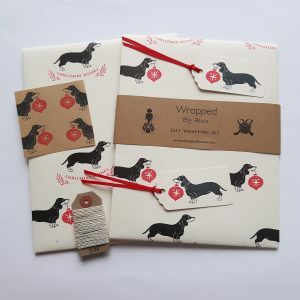 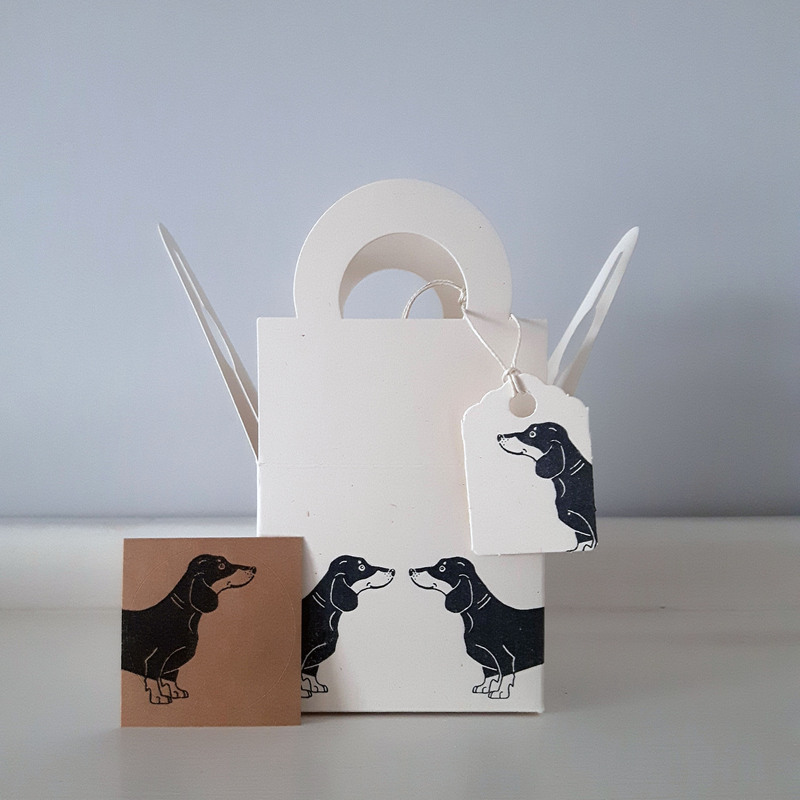 A mini gift box set, including box, gift tag and sticker, all with a cute sausage dog theme! 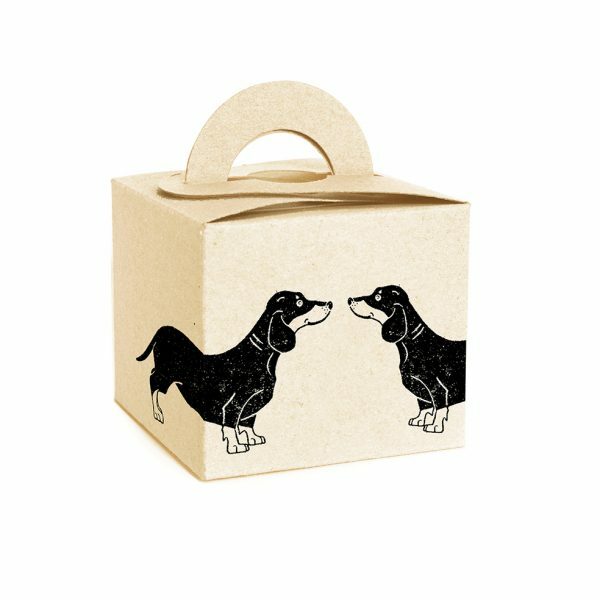 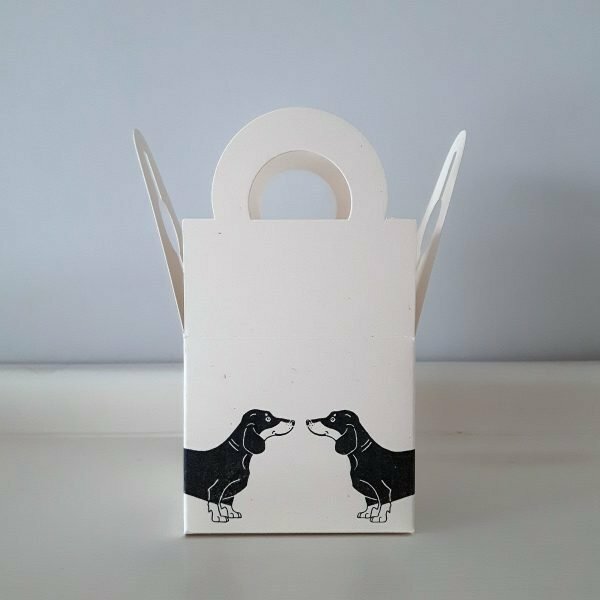 A super cute, sausage dog-themed, mini gift box set, perfect for special little gifts, such as jewelry, cufflinks, hair slides, cosmetics…the list goes on! 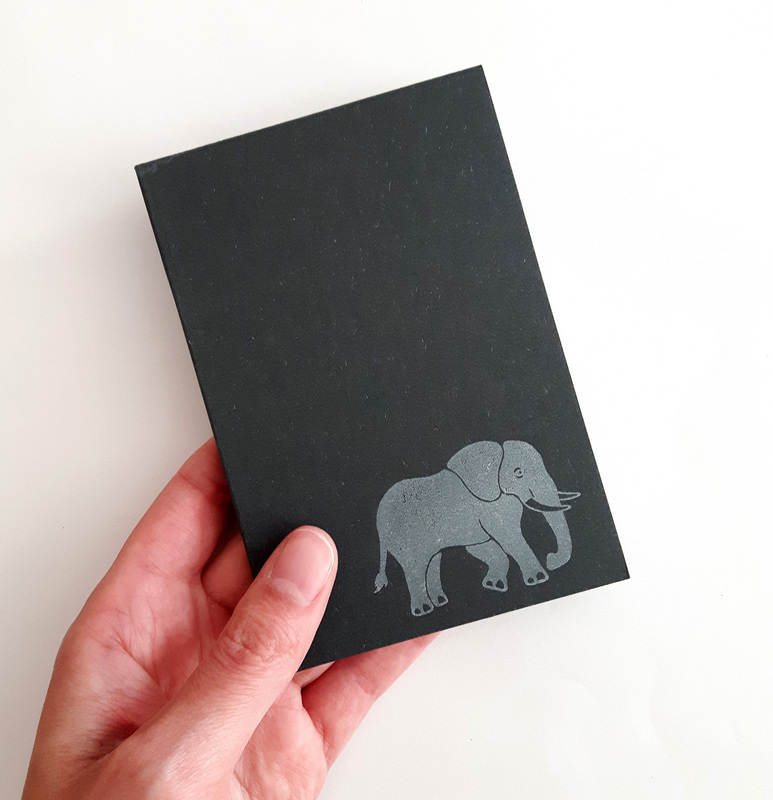 Each set is hand-printed and comes with a matching mini gift tag and sticker, as well as shredded paper for your gift to nestle in. 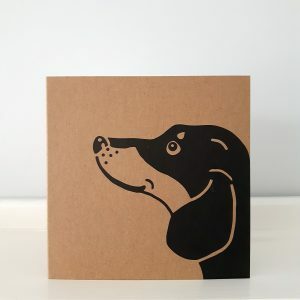 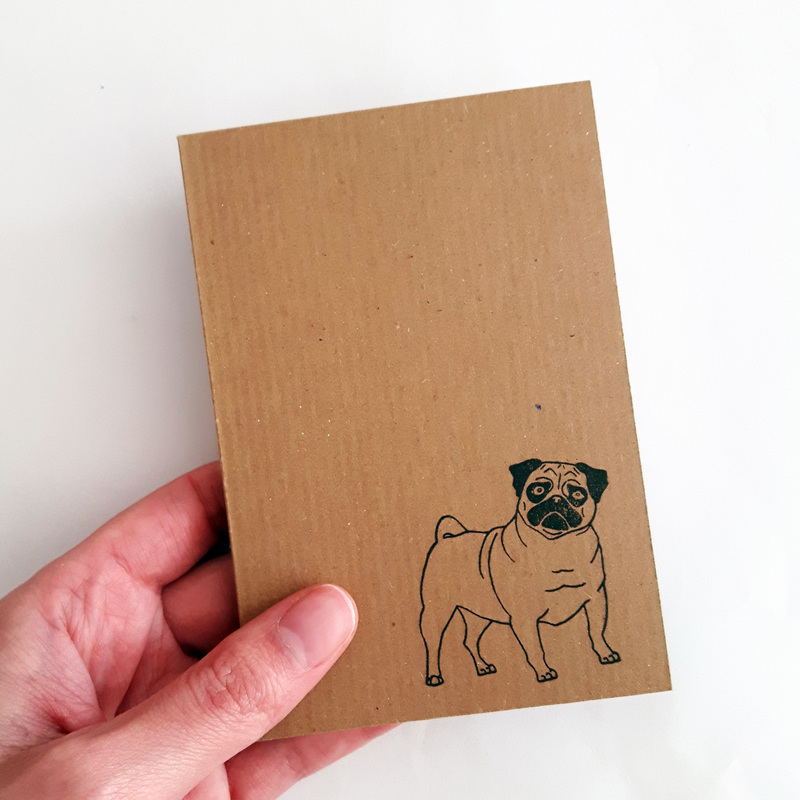 All elements are made from eco-friendly, 80% recycled cardstock. The box measures 6.7cm / 2.6″ x 6.7cm / 2.6″ and is 5.7cm / 2.2″ high (not inc. handles). 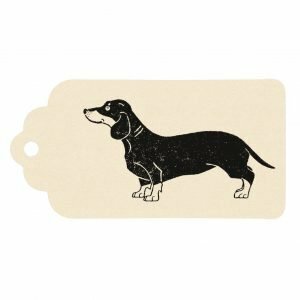 The tag measures 2.8 cm / 1.1″ x 4.2 cm / 1.7″. 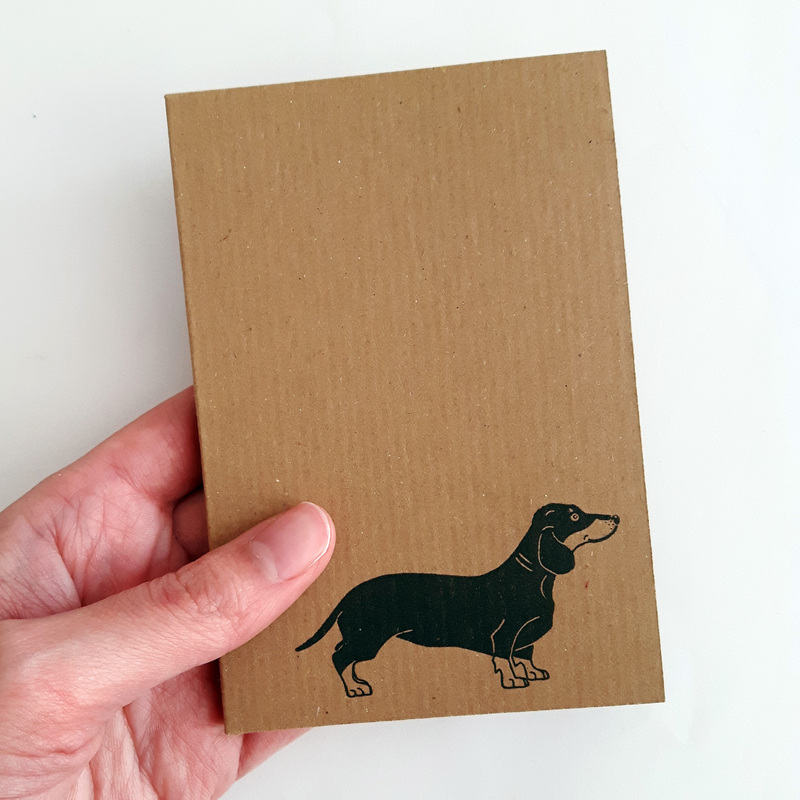 The sticker measures 3.8cm / 1.5″ diameter. 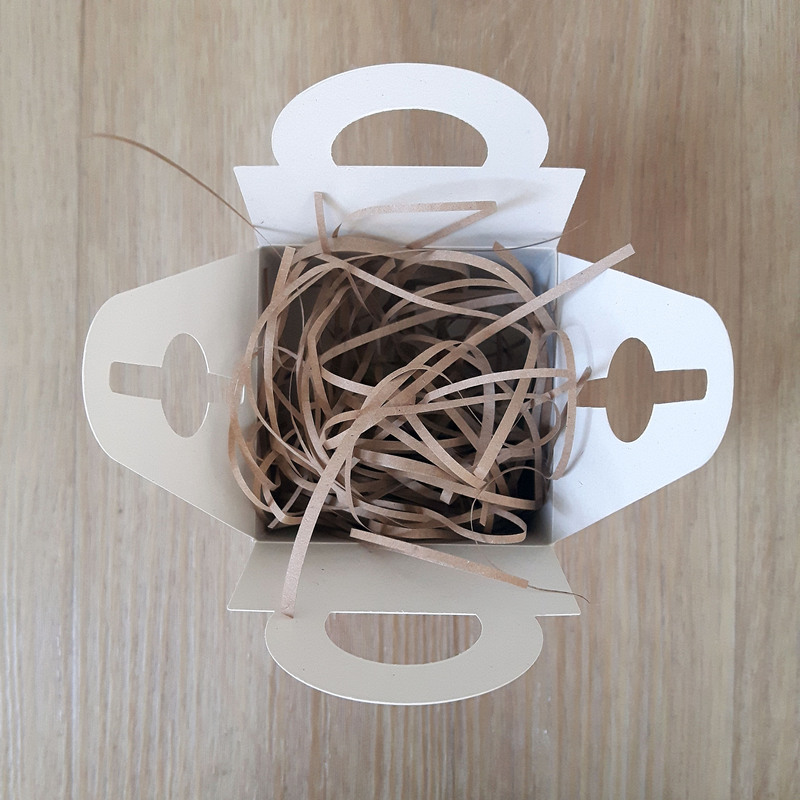 The gift box will be sent flat in order to keep postage costs as low as possible for the customer, therefore some simple self-assembly will be required, no glue is needed for this.